Some low cost airlines, mainly Ryanair, provide several low cost connections with the little Hahn airport. Usually this airport is referred to as Frankfurt-Hahn airport and, from a tourist point of view, it is mainly used to visit Frankfurt am Main. Having already visited that city I was wondering what are the other possible tourist destinations when landing in Hahn. As far as I know there could be Trier with its roman ruins and Mainz, close to Frankfurt, but they are two spots quite far from each other. What possible itineraries for a three/four days trip are there within a reasonable distance from the airport when moving by public transport? One highlight is the Middle Rhine valley, a UNESCO World Heritage site. 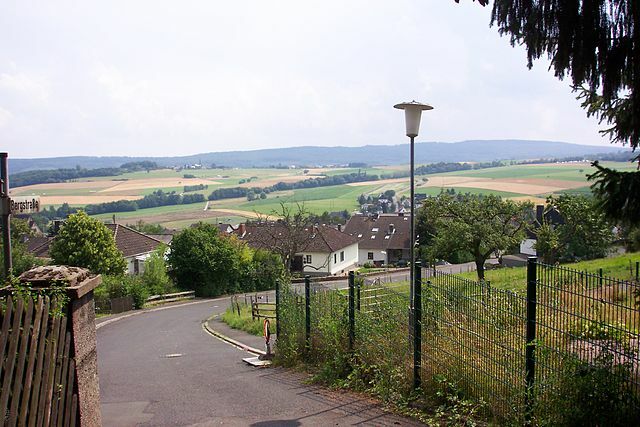 It is a picturesque region, has good wines and is crossed by the famous Rheinsteig hiking trail. You can choose either Koblenz or Mainz/Wiesbaden as a starting point to visit that region. From there you have good train connections. There is one line on the right hand side and one on the left hand side of the Rhine, both being served by hourly or less than hourly tacts. And ferries connect both sides of the Rhine. If you have enough time, you can conveniently combine the Middle Rhine Valley with a visit to one of these cities. If you are in a hurry have a train ride on the left bank of the Rhine, preferably on a slow train from the Mittelrheinbahn or a semi slow train from the Deutsche Bahn. Koblenz to Mainz takes between 1h00 and 1h30 depending on the type of train. The Moselle (Mosel) valley is nice too. It is different from the Middle Rhine valley, but has the same assets: picturesque landscapes and towns, good wine, hiking trails. Public transport is convenient too. There is a line running along the Moselle connecting Koblenz to Trier. Buses and ferries fill the gaps. The Moselle valley can be easily be combined with a trip to Luxembourg and Trier. And it is just a stone’s throw from the Hahn airport. Just as for the upper middle Rhine valley, the train ride along the the Moselle is quite pleasant. You can travel on a slow train from the Deutsche Bahn. The whole trip from Koblenz to Trier takes between 1h30 and 2h00, depending on the type of train. If you choose Luxembourg and Trier, why not add to Metz and Saarbrücken, to make it complete? Public transport between the four cities is straightforward. Frankfurt Hahn is in the middle of the Hunsrück, a beautiful area with small forests and hills and countryside typical of the region. A good destination for family cycling trips. 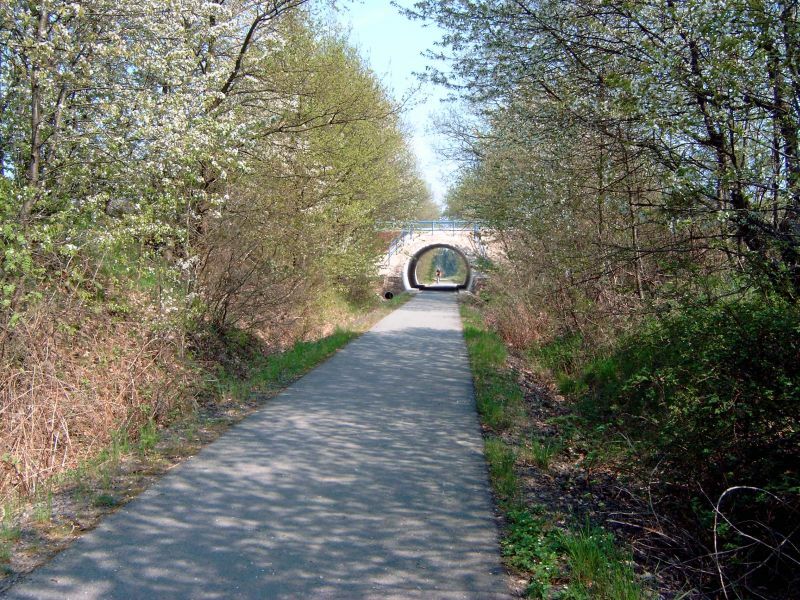 For example, there are a number of rail trails in the area, where former railways were converted into cycling tracks. I can recommend the campsite at Schinderhannes. You might also enjoy the regional cuisine. I can recommend to find a nice campsite in the area, put up a tent, make some bicycle rides to a restaurant, ride back to the campsite in the night. We've used it mostly as a stopover between The Netherlands and The Alps, but it's a nice destination in itself — in particular with a family. To get a taste for the region, I can recommend the excellent movie series Heimat, a full 924 minute TV series telling the history of 20th century Germany through the eyes of a family from the Hunsrück. Another choise would be Cologne. The Cathedral is a must-see. Distance - 180km. You can also visit Mainz and Wiesbaden. They are very close to each other(on the both sides of Rhine) and well conected with public transport. Distance - 90km. Not the answer you're looking for? Browse other questions tagged airport-transfer germany destinations itineraries hhn or ask your own question. Can I cycle to Frankfurt Hahn airport from Koblenz? Cheapest way from Frankfurt Hahn to Wiesbaden?